You feel that, something special in the air this time a year? It's project car season! A time when we get to fire up the lift and start working on making our cars better. We have already been showing your our R32 GTR, and now there is a new car in the RFD Garage. Yep, the Lexus IS300. Even better, we found a great condition manual transmission car. But right away we noticed it was too quiet. Wayyyy too quiet. So we had to liven things up a bit. There are quite a few ways that you can make your car sound more aggressive, and some will actually give you some power gains a well. For cost and simplicity’s sake, we started with an axleback system. With our normally aspirated inline-6 however, performance gains are non-existent, or at least not substantial. 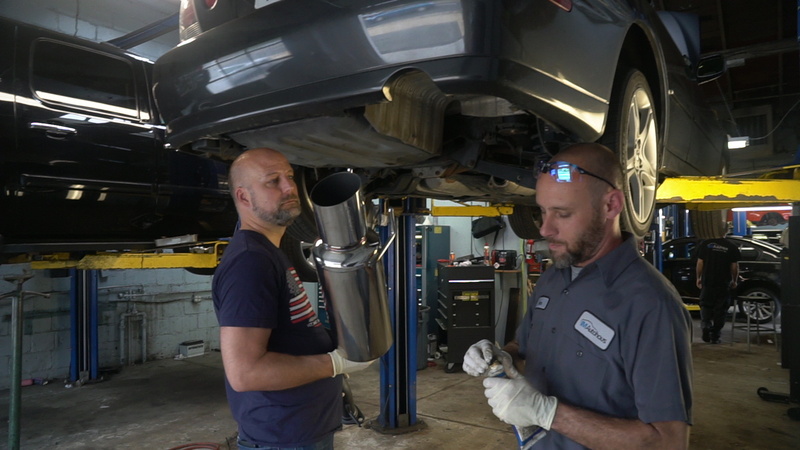 Once we start messing with the rest of the exhaust, including the headers, midpipe, etc. that may change. But for now, we just wanted to make it a bit louder. Enter HKS. The Drager II system is well known and after watching a few YouTube videos, we were pretty sold on the sound. We sourced ours from TH Motorsports for a very reasonable $355.46 shipped! Being a 6, it’s not tinny or buzzy, it has a nice deep baritone and if anything is a bit quiet. In particular, between 2500 – 4000 RPMs it really sings. But I’m spoiling all the good video content. So, let’s get to it shall we? Take a look at our installation video and initial review below.